YOUR DAY AT A GLANCE – The Glance Clock is a smart wall clock that helps you with your day. Connect it to your Android or iOS smartphone for LED and sound notifications from the clock. 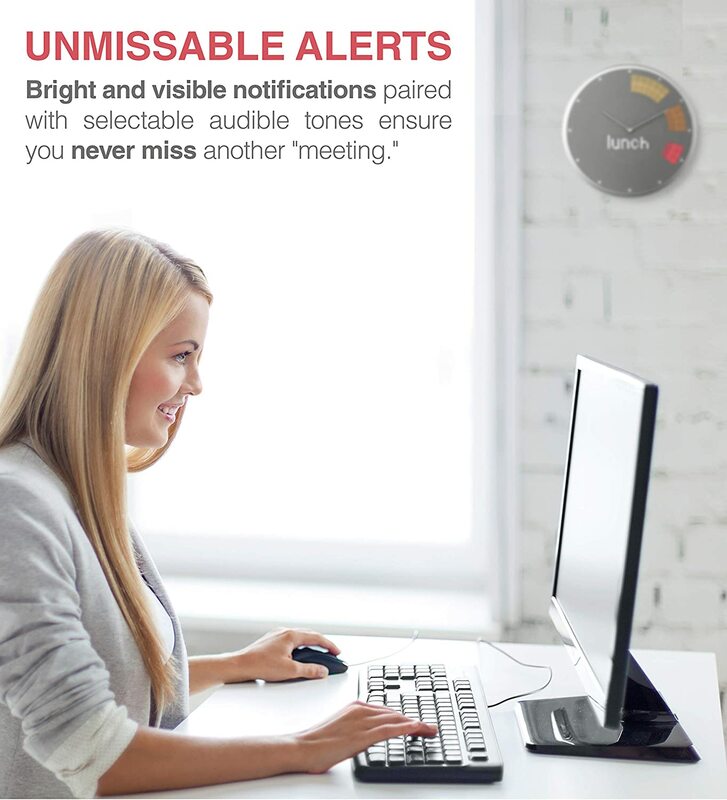 ALERTS AND REMINDERS – Get notified about upcoming meetings, appointments, birthdays, alarms and timers. Simply use the Glance app and connect it to your favorite calendar app. WEATHER – Never forget to grab an umbrella or a scarf again. The Glance smart clock provides you with daily weather information, including temperature and humidity. 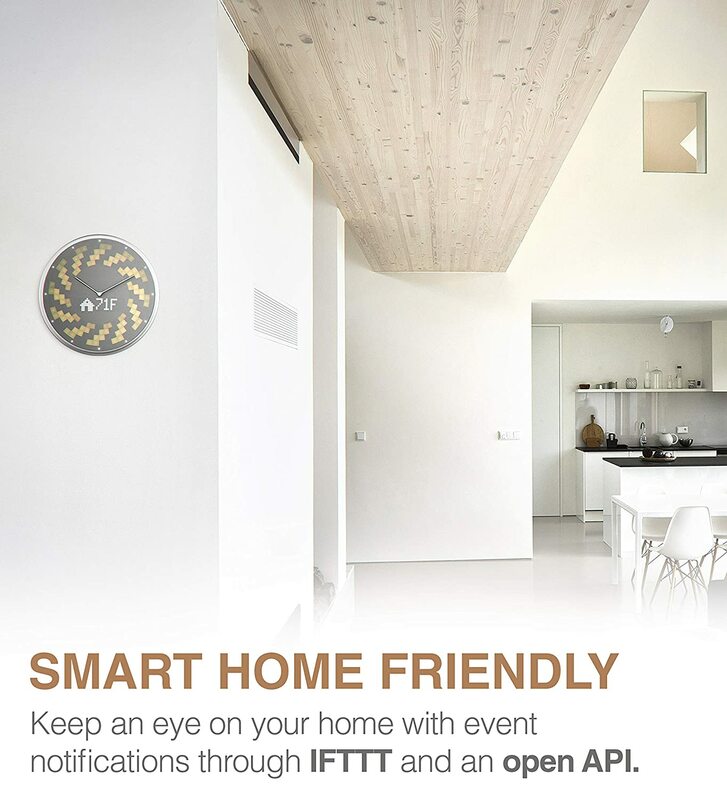 SMART HOME COMPATIBLE – The Glance Smart Clock connects with IFTTT and can display indoor conditions such as when a light is turned on or a door is opened. Visit the Glance Clock IFTTT channel for more. 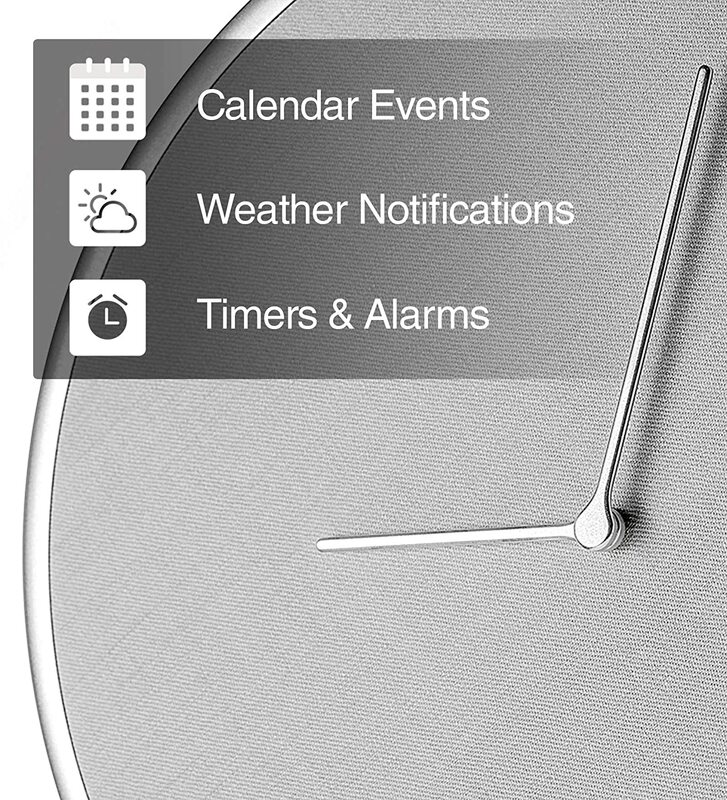 COMPATIBILITY – You can find the Glance Clock’s companion app on both the Google Play and Apple App Store. It connects to your phone using Bluetooth Low Energy (BLE) which conserves energy and pushes information only when necessary.